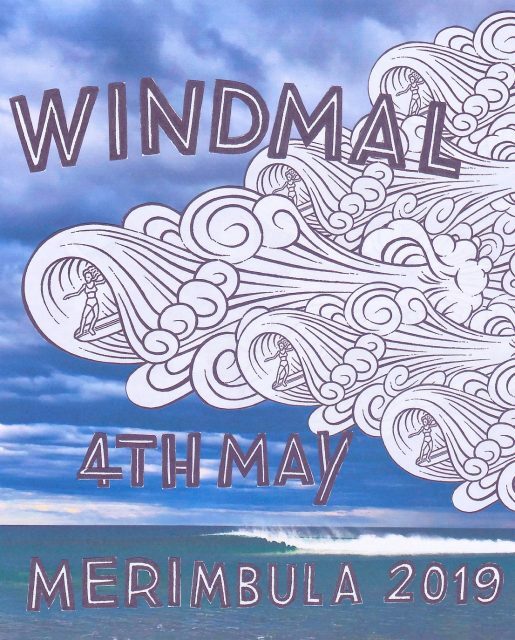 Merimbula Sailboard Club will be holding their 33rd annual Malibu surfing competition, THE WINDMAL, on Saturday 4th May at Main beach. This fun one day event attracts Malibu surfers from up and down the coast, from Sydney to Victoria plus a host of keen local surfers of all ages. It is also a great day for spectators to see Malibu surfing by some of the best surfers on the coast competing for honours against some of Sydney and Victoria’s exponents of the long board. Awards go to a variety of categories including Women grommets Juniors Open Masters veterans and grey grommets, nine foot and over single fin. Entry costs $70 ($60 juniors and grommets under 18) and includes a T-shirt, BBQ all day, prizes and trophies. Event format is a double elimination with surfers getting to surf at least twice before elimination. The presentation will be held upstairs at the Lakeview Hotel, Merimbula commencing 6pm and concluding around 7.15pm on Saturday 4th May. after the event. Trophies will be awarded to all 6 finalists plus the highest placed competitor in each of the following categories; micro-grommets, grommets, juniors, women, men, masters, veterans, Grey Grommets. Entries will be taken from 5:30 to 7:30pm Friday 3rd May at the Lakeview Hotel lounge and then the draw will be posted on Facebook. Competitors meet at 7am at Main beach Merimbula where the venue is decided according to conditions. If the event is moved to another location notices will be posted at Main Beach. A new custom Malibu surfboard courtesy of Jed Done from Switchfoot Boardstore is up for grabs along with a host of prizes from Merimbula Surf shop, Raging Bull,Grey Grommets surf wear, Pambula Wholefoods, Woodbine Park, Ocean and Earth, Roxy and Quiksilver and Hazelgrove oysters, and Hungry’s takeaway and Merimbula Realty. Entry forms for the event are available online or at the Merimbula Surf Shop, Switchfoot boardstore or via email abalone1@bigpond.com or by calling contest co-ordinator John Smythe on 0407260015.